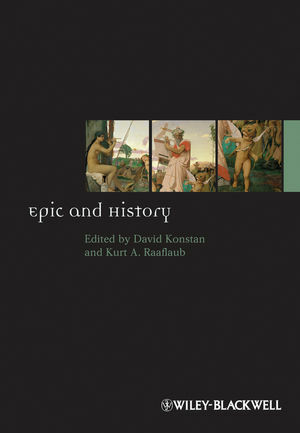 With contributions from leading scholars, this is a unique cross-cultural comparison of historical epics across a wide range of cultures and time periods, which presents crucial insights into how history is treated in narrative poetry. David Konstan is the John Rowe Workman Distinguished Professor of Classics and the Humanistic Tradition at Brown University; he is also a Professor in Comparative Literature, and a member of the Graduate Faculty of Theatre Arts and Performance Studies. He is the author of Roman Comedy (1983); Sexual Symmetry (1994); Greek Comedy and Ideology (1995); Friendship in the Classical World (1997); Pity Transformed (2001); The Emotions of the Ancient Greeks (2006); Terms for Eternity: Aiônios and aïdios in Classical and Christian Texts, (with Ilaria Ramelli, 2007); and A Life Worthy of the Gods: The Materialist Psychology of Epicurus (2008). Kurt A. Raaflaub is David Herlihy University Professor, and Professor of Classics and History at Brown University. His numerous publications include The Discovery of Freedom in Ancient Greece (2004) and Origins of Democracy in Ancient Greece (2007, co-authored with Josiah Ober and Robert Wallace). He is also the editor of Social Struggles in Archaic Rome (Blackwell, 2005), and War and Peace in the Ancient World (Blackwell, 2007), and co-editor of Democracy, Empire, and the Arts in Fifth-Century Athens (1998), War and Society in the Ancient and Medieval Worlds (1999), A Companion to Archaic Greece (Wiley-Blackwell, 2009), and Geography and Ethnography: Perspectives of the World in Premodern Societies (Wiley-Blackwell, 2010).